For courses in Student Success, Integrated Marketing Communications, Business and Professional Speaking, Leadership, and Speech Communications. From a top-notch professional speaker who has taught thousands of corporate personnel, military officers, and college students how to speak effectively, comes a text that's interesting, engaging, and filled with exercises and examples. 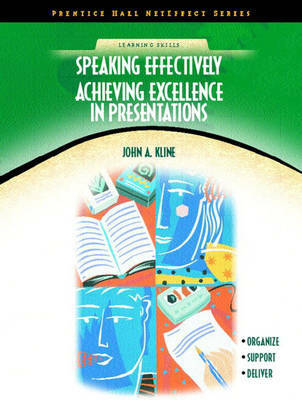 Chapters on using humor, visual support, and presentational skills and strategies set this book apart from any other on the market.